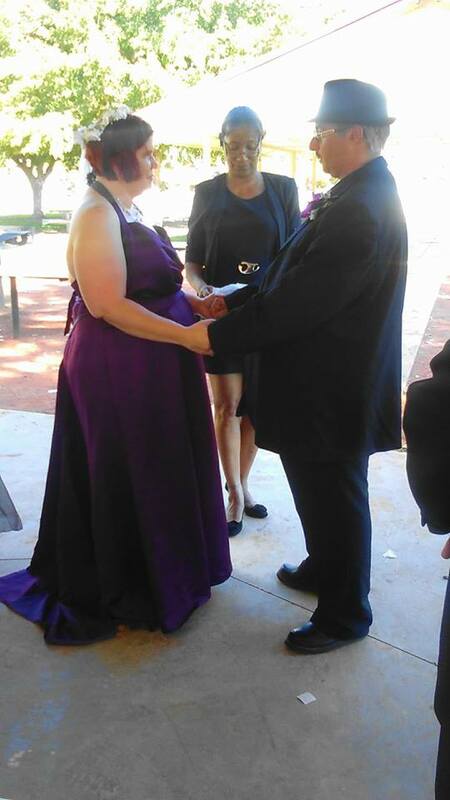 I am a Licensed, Ordain, Wedding Officiant, dedicated to performing the perfect ceremony for you! Let me help you make it Romantic, Meaningful, Memorable!" ~ "Your Day, Your Way!" Unique, Custom, Personalized Marriage Ceremony. I can adapt and perform any type of service. Whether it is 2 people or 200 hundred. I have and can performs religious and non-religious ceremonies for all faiths and works with you to create a wedding ceremony that incorporates your beliefs, hopes, and dreams and brings what is in your hearts to the forefront. Here is a partial list: Hindu, Jain, Jedi, Jewish, Mormon, Pagan, Parsi, Sikh, Wiccan.if you don't see the ceremony you are looking for just ask me.